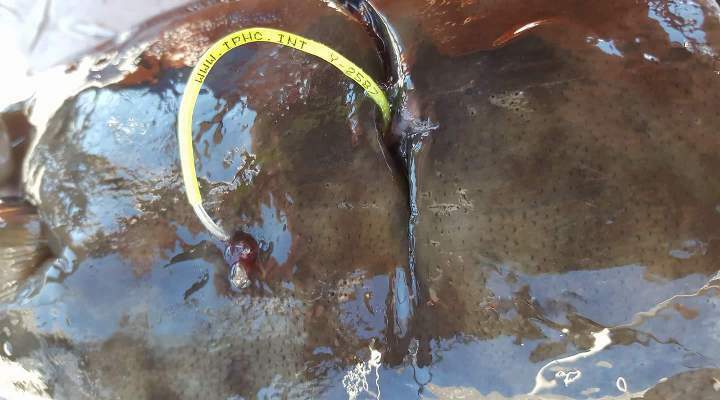 You never know what kind of unusual fish might bite on your bait. Here are some of the unusual/rare fish that we have landed. IPHC Tagged Halibut Y-2587. Caught 2017. Hungry Halibut most halibut caught on circle hooks will only take one bait. 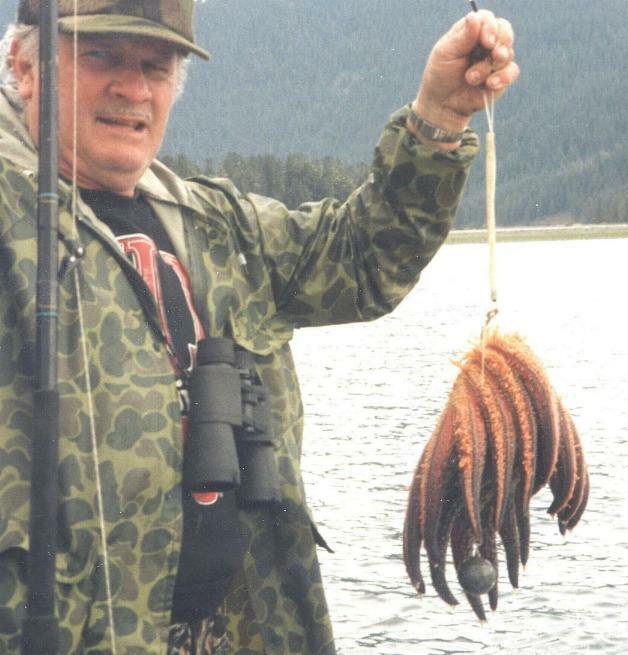 We may catch a few halibut each year that take two hooks simultaneously. 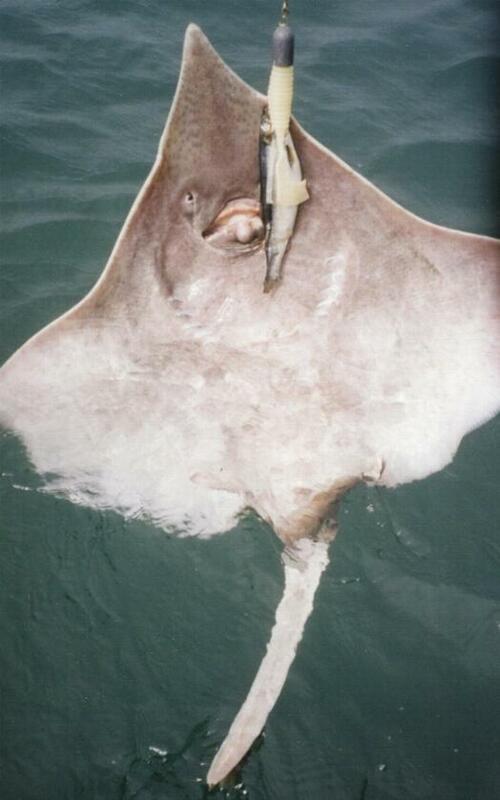 In July on 2005 the halibut pictured below bit three hooks. The halibut was around 120#. Blue Ling Cod caught September 2005 in Gulf of Alaska. 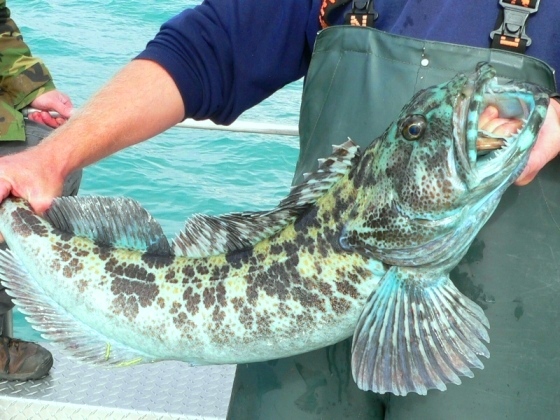 The blue color phase of this Ling Cod is rare for the Valdez area. Giant Wrymoth caught 9/7/2000. 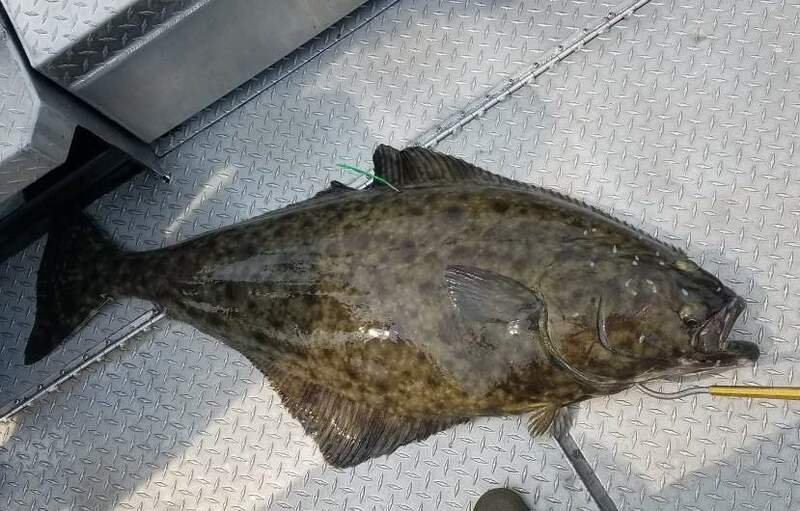 Caught in Prince William Sound. Estimated size 60"/15#. Eel was released. 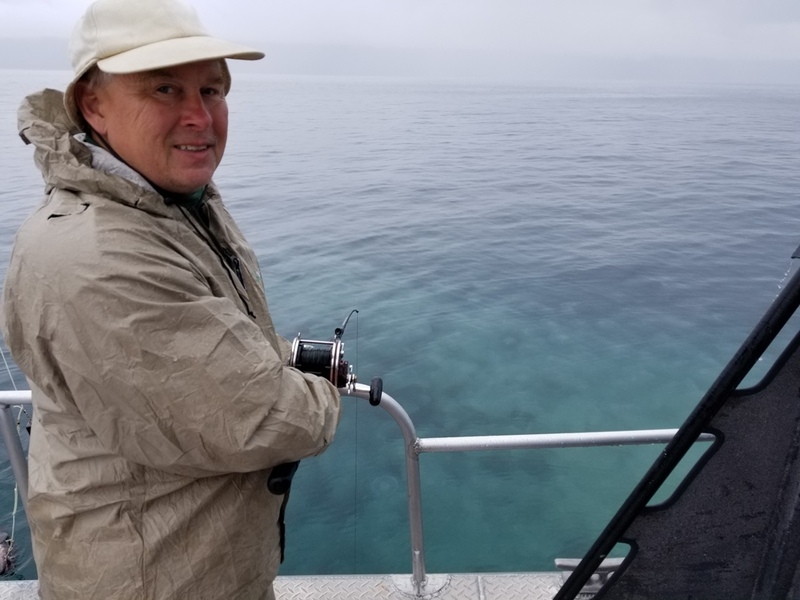 These fish are fairly unusual to catch while halibut fishing. We have only landed several in our history. Some of the commercial fishermen catch them more frequently in very deep water 1000 to 2000 feet around PWS. This is just a small one, some have been reported to reach over 20 feet in length. This is a little bit bigger one approximately 8' long and 300#, we released this one after taking the picture. It took three guys to lift it out of the boat. In PWS, these are considered an unwanted "trash" fish, in the same catagory as grey cod, dog fish, Sculpin, Irish Lords or other poor quality fishes that sometimes hit your bait. We try to avoid areas that contain these types of fish. These are not considered edible.